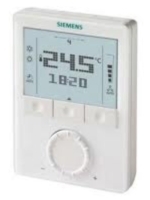 are programmable with the ACS or ETS4 programming tool. Download PDF Applications:For use on basic to complex ventilation, air conditioning and chilled water plant. Download PDF Applications: For use on basic to complex ventilation, air conditioning and chilled water plants. 3 multifunctional inputs for keycard contact, external sensor, etc.